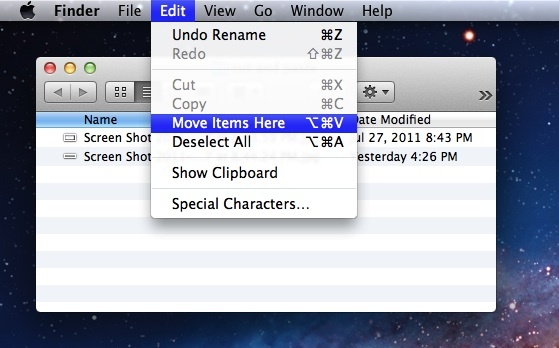 We often get asked what the single most useful Mac tip is, or what a handful of the best tricks are. 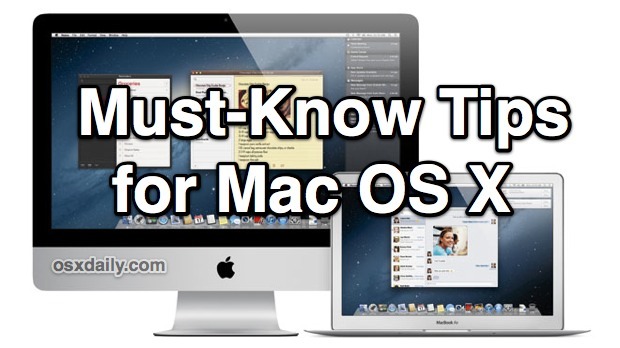 It’s impossible to answer such a question given the diversity of use cases of OS X, but here’s a collection of what are surely some of the absolute best tips for Mac OS X that should be considered must-knows for all Mac users. We’ve covered just about all of these on an individual basis before, but if you want to learn a whole lot in one sitting you’re in the right place. Have you ever wanted to access a hidden file from an Open window or Save dialog? 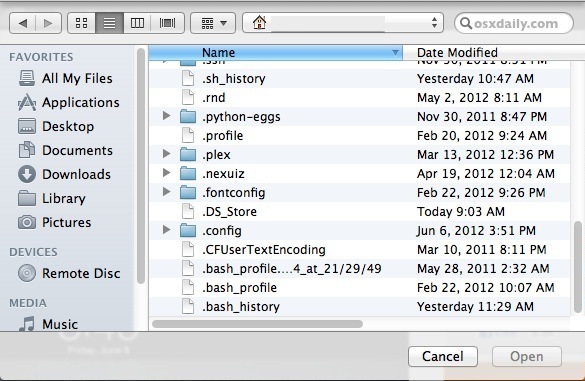 You can easily toggle hidden files by hitting Command+Shift+Period in any dialog window. Hitting Command+Shift+G in the Finder brings up a Go To Folder dialog, this is without a doubt the fastest way to navigate deep into the OS X filesystem. The next best part? Tab completion works, so you don’t even have to type out the full paths. It also works in Open & Save dialogs too and is arguably one of the most useful keyboard shortcuts for the Finder. The next time you’re flipping through a series of pictures in the OS X Finder, select them all and then hit Command+Option+Y to create and instant fullscreen slideshow of the selected images. 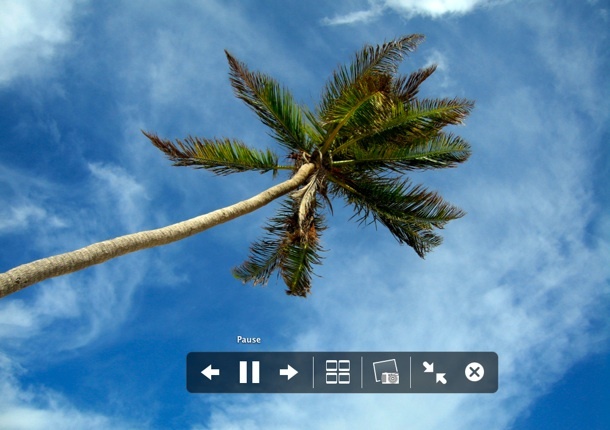 Tired of having a million windows open, cluttering your workspace? Hit Command+Option+H to hide every window and application except for the foreground app, think of it as a way to quickly push distractons aside and focus. Control+Shift+Eject instantly locks the screen and summons the screensaver, just remember that the password lock feature must be enabled separately before you’ll get use out of this one, otherwise the display simply turns off. Hit Command+Control+Shift+3 to take a capture of the entire screen and store in the clipboard. If this sounds familiar to Windows users it’s because this is basically the Mac equivalent of the Print Screen button which doesn’t exist on the simplified Apple keyboards. Longtime Mac users will most likely prefer the classic Command+Shift+3 option though, which dumps the screen shot directly onto the desktop. Use Command+C as usual, and then hit Command+Option+V to “move” the item, effectively cutting and pasting the document into the new location. Longtime Windows users will find this to be useful, but it’s also just a great keyboard shortcut to move files about. 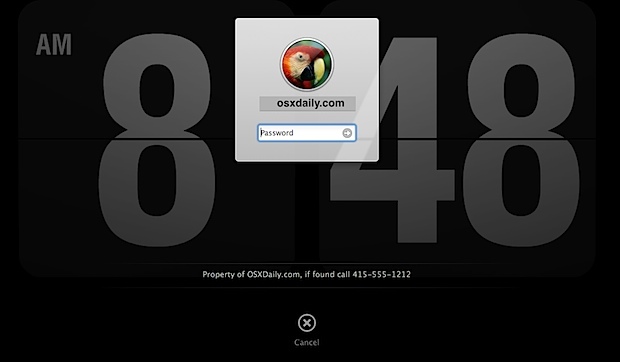 This is limited to OS X Lion and later. Command+` (next to the 1 key) cycles through the current applications windows, without having to go into Mission Control. 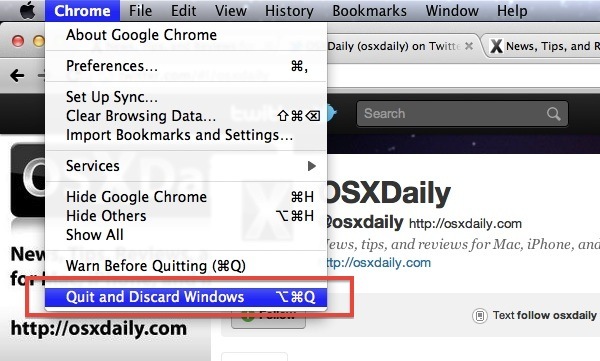 This is probably the fastest and most efficient way to quickly flip through app windows in OS X.
Command+Tab the application switcher gets a lot of use by power users for good reason, it’s one of the quickest ways to move between open apps there is, without your hands ever leaving the keyboard. Combining this with cycling through active windows is a big time saver. 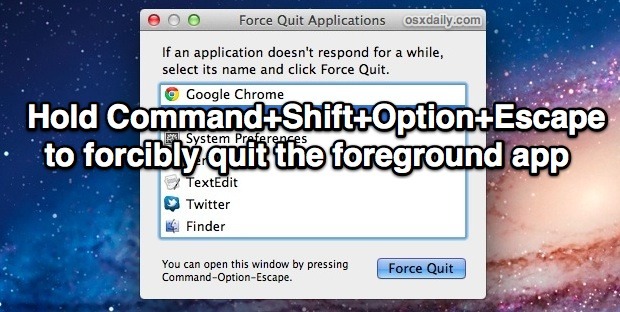 Hold down Command+Option+Shift+Escape for about 2-3 seconds to force quit the currently active application without any confirmation dialog, and without having to kill it through activity monitor or the Force Quit menu. Just note there is no warning the app quits immediately without saving anything, perfect for when something is going haywire. Hit Command+Spacebar and start typing the name of the app you want to launch, then hit return to open that app immediately. If you’re fastest with the keyboard, this will be the quickest way to launch apps in OS X.
Don’t want OS X’s Window Restore feature to resume the applications current windows on next launch? Use Command+Option+Q when you quit the app to discard the current windows, preventing them from being restored the next time you launch that application. 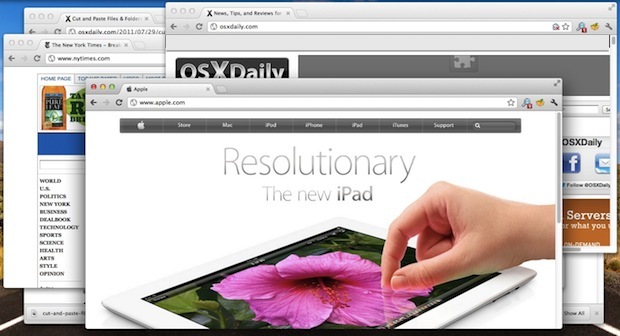 Want more tips and tricks for Mac OS X, iOS, or Apple stuff in general? Follow us on Twitter and like us on Facebook for the latest! The shortcut to see all the windows of the current application doesn’t work with most of the non-US keyboards. Some of them have the “`” key only pressing the Shift key, and often the shortcut doesn’t work (Danish, Swedish, Dutch, German layouts, for example). Some other layouts simply don’t have the “`” key. The Italian layout, for instance, has all the wowels directly with the accent, and no key with simply “`”. Sadly the same situation for French layout. change it in the Keyboard settings. what about MBA for lock the screen? You can customize the shortcut for cycling thru windows. System Preferences -> Keyboard -> Keyboard Shortcuts -> Keyboard & Text services. 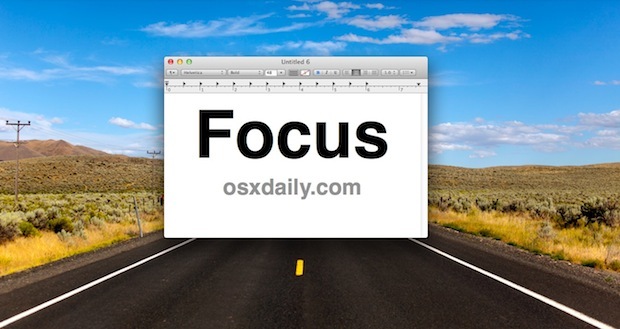 Choose “Move focus to next window” abd put a new shortcut. I think that can be changed on Leopard or Snow Leopard too. 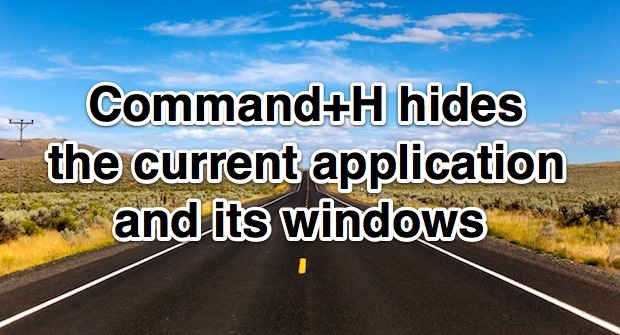 I’ve always used CMD-` to cycle through an app’s windows. Less of a stretch than +. That’s very clever of you indeed, Dan. However, the point was that for some users of non-English keyboards ⌘-`does not exist at all. Try another key. For me (slovak keyboard) works Cmd+”ň”. It’s on the left of Enter key. technically, Control+Shift+Eject turns the display lamp off and optionally starts the lockscreen facility. You can start writing the folder’s name, and then press the “Tab” key to complete the name til the next “/”. Sometime is faster than clicking every folder, especially in the case of hidden folders. I never tried with the Tab key before. I use the Magicpad and BetterTouchTool for this and a lot more shortcuts. With 1, 2, 3, 4 or 5 fingers. The mouse is dead! where do i get the “Property of …” Wallpaper and how can i make it, that it appears only at the Logon-Screen ? These are really great. I knew some of them, but I learned quite a few things today. So glad I’m subscribed to this list. I can not for the life of me get the “Go To Folder” shortcut to work in Finder. It works fine on my wife’s Mac but not mine. We are both running MBPs with Lion upgrades. i’ve looked for a setting somewhere that might disable this with no luck. I also can’t find an app that is using it. Anyone have a suggestion? From the Finder look under the “Go” menu, you will find it near the bottom and it will show the keyboard shortcut as well, just in case it’s been changed. Odd question…where did you get the screensaver with the old-style flipping clock? I would really like that. So what exactly is the difference between Command + Tab vs Command + ` shortcuts? I’m not in front of my mac at the moment (@ work). Since I’m fairly new to the Mac OS X world, I’m greatly disappointed that if I minimize an app, I cannot restore it to my screen with Command + Tab like I use to in Windows with the Ctrl+Tab shortcuts. The difference is that Command-Tab will cycle through all your currently running *applications*, while Command-` will cycle through all the *windows* of your *one* currently running application, the one that currently has focus. Example: Say you’re running three windows of TextEdit, two of Chrome, one of Keynote, one of Numbers, etc. You’re now editing in TextEdit. Command-Tab would take you to another application. Command-` would take you to another window of TextEdit. Great stuff for a first timer in OSX.